The Mercy is a phrase often used by our Editors wife. It’s how she regards his evenings when he has to attend a film screening because for him it’s a night out but for her it’s a night off (‘You’re fired!’ – Ed). It’s a wonder that she doesn’t encourage him to take up yachting and undertake a solo round the world trip as Donald Crowhurst did in 1968. 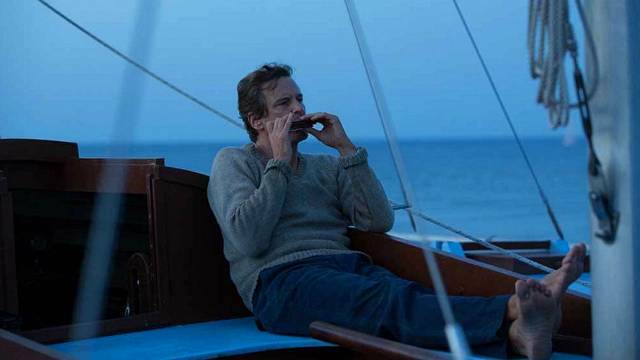 Colin Firth plays the business man and amateur yachtsman in The Mercy, a man in the midst of a mid life crisis. Married with three children to whom he wants to be a hero but with his business floundering he sees the announcement of the single handed round the world race with its prize of £5000 being the answer. Living in Teignmouth he designs a customised boat funded by a local business man played by Ken Stott (100 Streets) and an overeager agent, winningly played by David Thewlis (Wonder Woman), to get the sponsors and heighten his profile. There’s something of the boys own adventure to Crowhurst’s dream but almost from the start his journey is doomed. Overbudget and behind schedule the pressure is on to get sailing and ultimately he’s pressurised by his agent into what is clearly a folly. His initial eagerness to get going soon turns to trepidation and reluctance. It’s written all over his face heavy with the expectation of the locals and it’s a typically British stiff upper lip epitomised by him wearing a shirt and tie as he boards his boat waving goodbye to his wife (Rachel Weisz) and children. 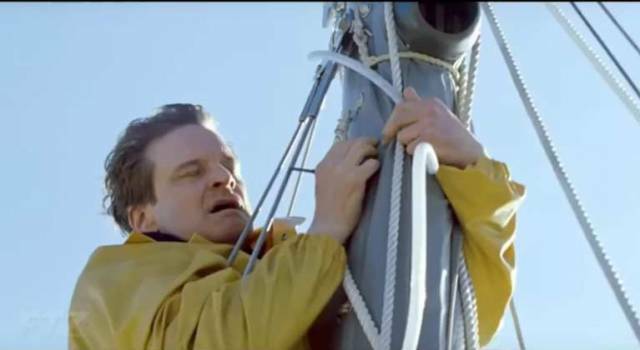 Firth’s Crowhurst almost has an air of resigned inevitability as to his what his fate might be. Having set sail at the most dangerous time in the world’s oceans he’s too far out to sea to turn back, too dangerous to sail on. In an age when there were no GSP satellite system’s he soon starts to fake his progress and as his fake reports continue and the lies he finds himself telling his children that he soon releases his hopes of winning are literally all at sea.